A great way to finish off your round of golf. This par 5 has one many a professional the Telkom PGA Championships with a much needed birdie. There is lots of space down the right hand side of the fairway so stay clear of the fairway bunker. Going for the green in two will require all carry to fly the bunkers positioned short of the green. 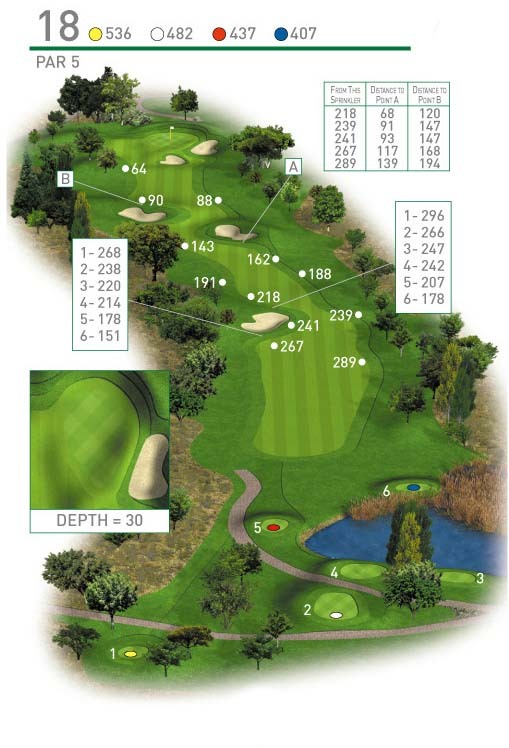 If you playing the hole as a three shot par 5, keep left of the bunkers positioned further up the fairway. A short iron is all that is required for your third but take enough club as the green is elevated.